In 1998, Cornell University launched a hydroponic greenhouse to explore the possibility of using controlled-environment agriculture to grow crops year-round in the state of New York. By 2006, Cornell decided to end its foray into hydroponics and sold the greenhouse to Challenge Workforce Solutions, an Ithaca-based nonprofit organization dedicated to helping individuals with disabilities or other employment barriers find jobs. Challenge Workforce Solutions has since developed Finger Lakes Fresh, a thriving local agriculture business in Ithaca, New York. 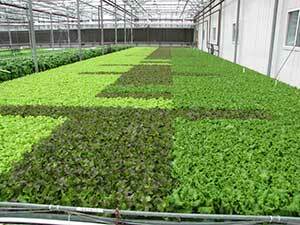 The business is centered on hydroponic greenhouse production and a soon-to-be launched food hub. According to General Manager Steven Holzbaur, Finger Lakes Fresh is one of the most productive hydroponic leafy-green producers in the country and has been highly successful in marketing its product. The 6,000 square foot greenhouse facility yields 500 cases of produce every week and has consistently sold out for the past two years. “We feel that we have really good brand equity and we have distribution and retail store partners who are pretty impressive for a relatively small organization,” says Holzbaur. Currently, Finger Lakes Fresh grows leafy greens, lettuces, arugula, and pac choi. It sells its produce to two large supermarket chains, Wegmans and Price Chopper, in addition to food distributors like Sysco and regional specialty food distributors. Finger Lakes Fresh is also in the process of launching an 18,000 square foot “food hub” facility which will become operational in January 2014. The organization will use the facility to process food from local growers. It plans to add value by slicing, shredding, chopping, and otherwise preparing local produce items like tomatoes, apples, cabbage, carrots, and lettuce. The facility will also dehydrate select items and have a tortilla production line to produce tortillas from local, organic flour. After the initial launch of the facility, Finger Lakes Fresh has plans to gradually expand its food processing capabilities. “After we get operational, we will invest money to get additional machinery so we can potentially freeze items, do more cutting and dicing and pureeing of products, and things along those lines,” says Holzbaur. Remaining true to the mission of its parent organization, Finger Lakes Fresh employs individuals with barriers to employment; this includes developmentally disabled individuals, those with mental health issues, the formerly incarcerated, and people with language barriers. Some of the tasks these individuals perform at the hydroponic greenhouse include moving plants as they grow and require more space, trimming dead leaves, wrapping plant roots, and packaging produce after harvest. Holzbaur says there will be plenty of work for these people in the new food hub as well, like making tortillas, working the produce wash line, labeling, and packaging. “It’s quite amazing to see how we put them in a position where they can succeed and how empowered they are by that,” Holzbaur says. Looking towards the future, Holzbaur says that Finger Lakes Fresh has ambitious plans for its new food hub. In its first year of operation, the food hub will be working with 50 local farms; they plan to double this number in year two. Finger Lakes Fresh also has a goal of helping local farmers in the central New York region achieve economic sustainability. According to Holzbaur, there are many “micro-farms” in the Ithaca area that could benefit from establishing a partnership with Finger Lakes Fresh and acquiring a consistent, reliable source of income.